09.06.17 – Back on the list? Sitting by the window in hospital being treated with antibiotics for my first episode of Cholangitis as an adult. I’ve never been jaundiced (apart from when I was a baby) so it was a bit of a shock to witness my skin and eyes changing colour. I couldn’t even mix the right colour foundation to cover it! I didnt look as yellow as some patients so just didn’t bother trying to cover it up in the end. I guess it’s good to let your skin breathe from time to time. I’m being looked after pretty well, so I can’t complain. I’ve been in since 28th May and didn’t think it was anything significant. I felt guilty attending a&e as if it wasn’t anything serious. I expected to at least be in for a day or two, but not for this long! I’ve had to continue on a long course of IV antibiotics three times a day. I’m having bloods taken daily to monitor my progress and assessed for possible transplantation​ for the third time. I’ll be receiving the news on whether they want to list me or not, later on today. I don’t really feel as if I’m in need for a transplant as I think I’m pretty invincible sometimes. Maybe it’s because I don’t really see it as a big deal, as I’ve been on the list before. Having this mentally can be dangerous for me sometimes as I find I tend to push myself and over do it. I forget I need to take a step back and really think about how important it is to look after myself. I do feel as if I’ve been feeling quite exhausted and run down for a while. It seems to all make sense now. 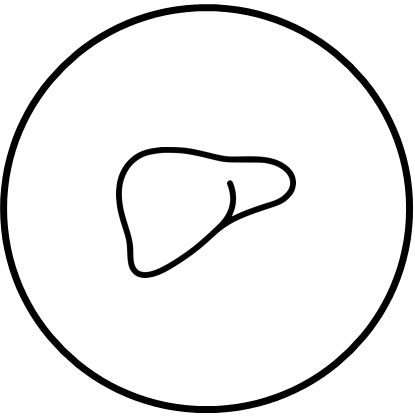 My Hepatologist said that there is a chance that the Cholangitis was always lingering, so was likely to flare up at some point. I’m hoping that once I’m over this infection, I’ll feel better than I have done for a long time. Since getting back to work again in November, I found I had been struggling to get through the day. I was worried that I’d be seen as a lazy nurse, even if I felt I had been working to my best ability. So seems like I’ll be here until Wed/Thurs next week. Another few days and I’ll be free to roam. I know I’m in the best place right now so will just have to stick it out. 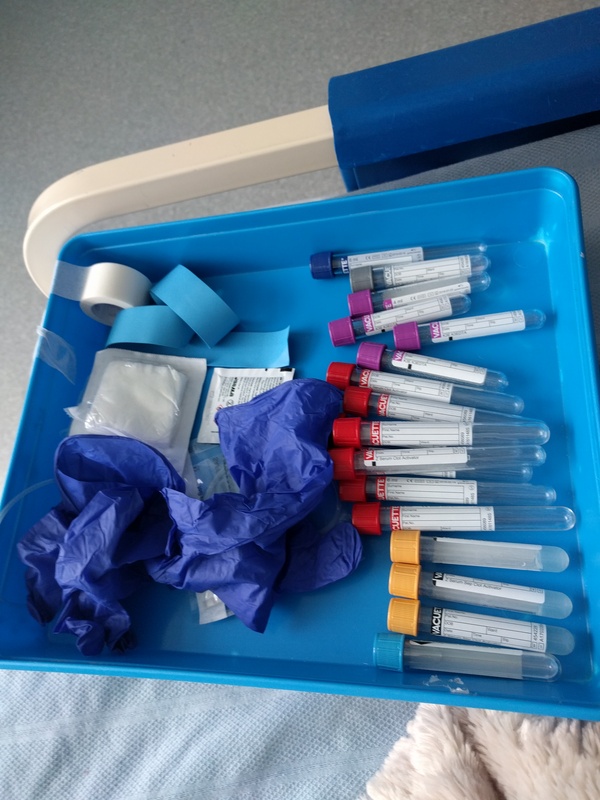 Bloods taken for transplant assessment – about 100mls taken.